Thank you! We will be in contact with you shortly to collect payment and to setup your maintenance plan. David LeRoy Plumbing is ready to help you with your HVAC maintenance and repairs with our HVAC Maintenance Agreement Plan. A working HVAC system is an important part of your home throughout the year, no matter the season. 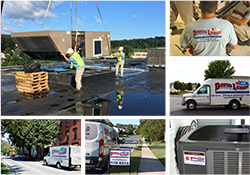 Signing up for HVAC system maintenance will ensure that minor problems do not become any larger, you’ll receive discount service and repairs throughout the year, and you’ll have peace-of-mind with our team of leading HVAC specialists serving Central PA.